The Protech Newport Automatic Knife comes with 3 inch blade and is a larger version of the Sprint knife. It works great if you have larger hands but has the same great design as the Sprint. 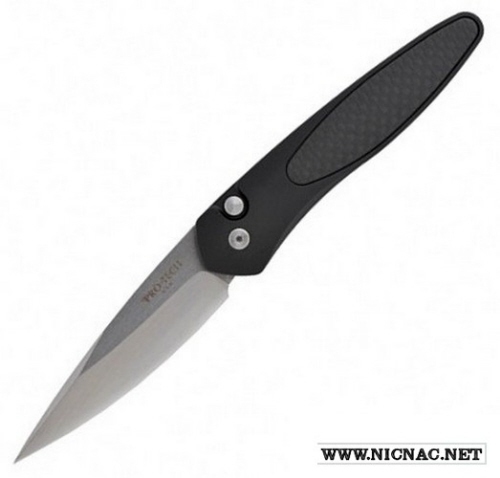 The Newport knife comes with the S35-VN steel blade and a black anodized aluminum handle. It also comes with a tip-up carry pocket clip. Made in the USA.